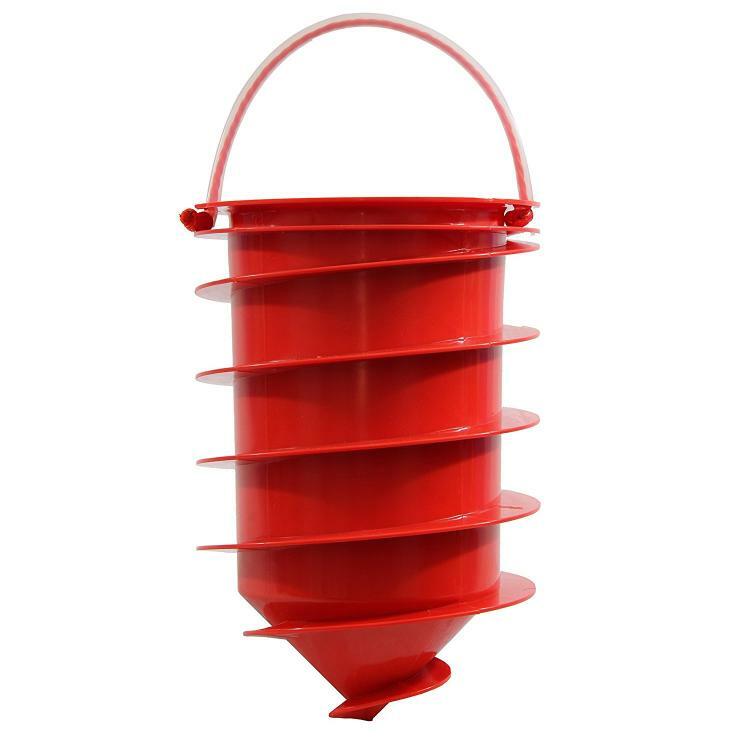 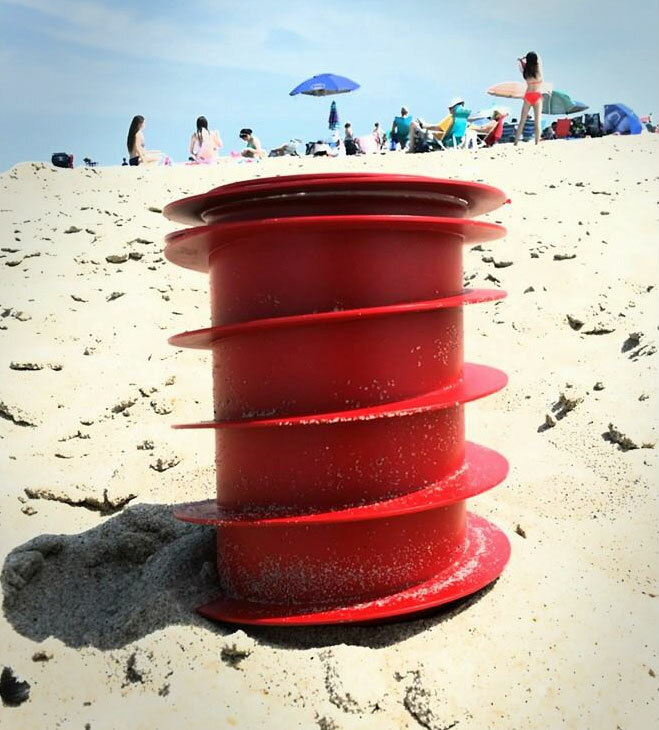 The Beach Vault is a giant red spiral/corkscrew that you can screw into the sand at the beach to protect your belongings from beach thieves. 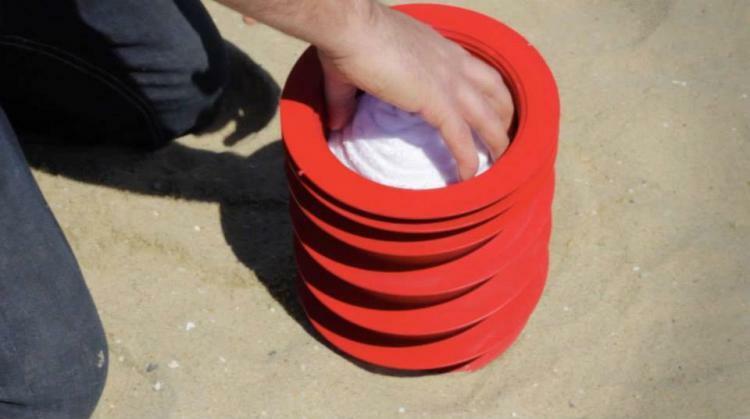 Just screw the Beach Vault into the sand, take out the compatible towel that comes with it that has a pre-cut hole for the vault, throw in your belongings, and fold the pillow over the vault. 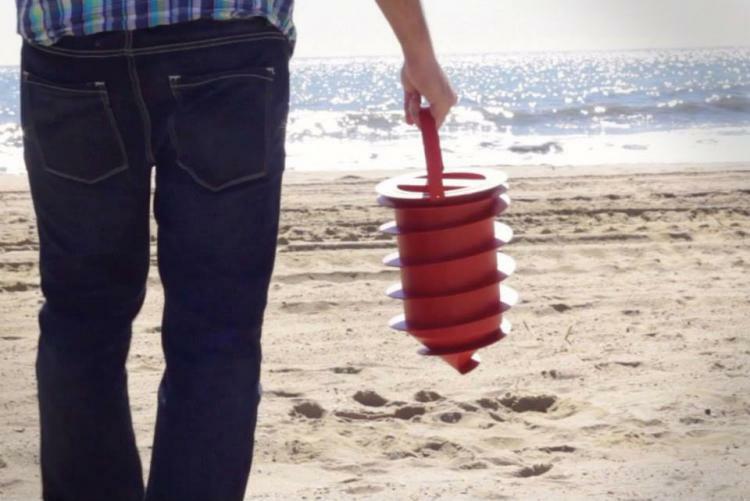 Now when a thief comes by your spot while everyone is in the water, they will look in everyone's shoes for a wallet and move onto the next spot. 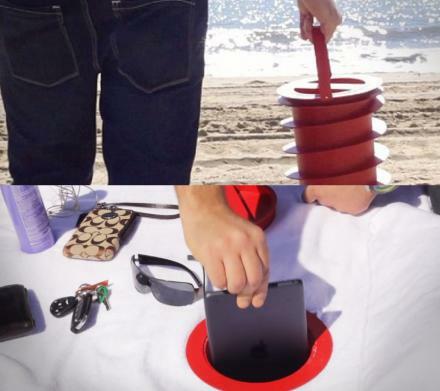 You are now free to enjoy the beach without worrying about your goods being stolen. 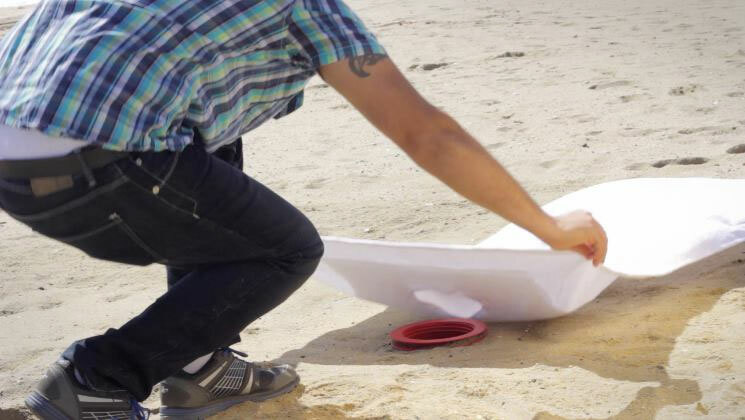 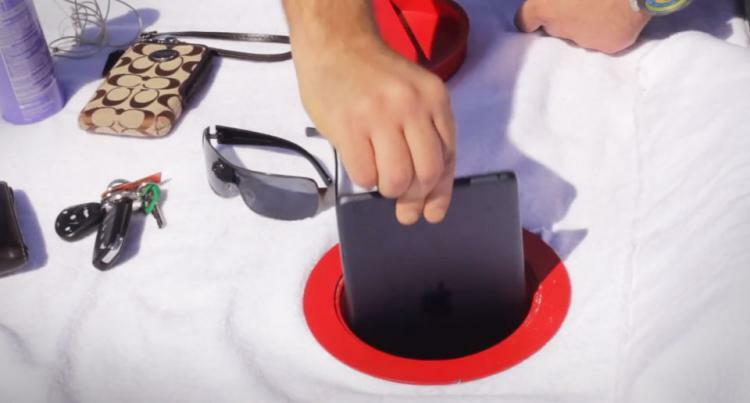 The Beach Vault is perfect for hiding your things from thieves, but also will protect your phones, tablets, or belongings from the elements of the beach and even keep them from being stepped on or spilled on by a drunken fool. 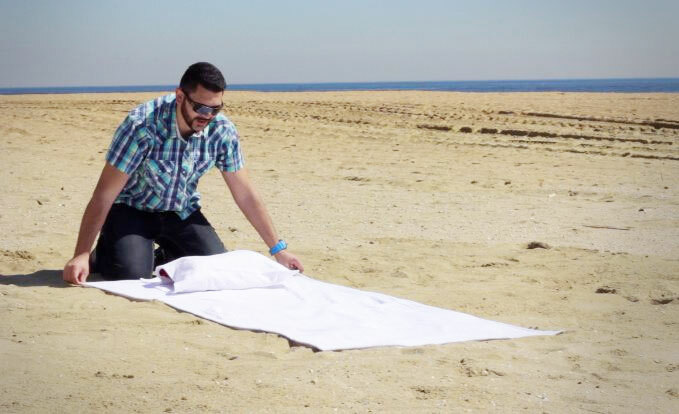 The Beach Vault is completely waterproof so that if a rogue wave did come up and splash your area, you can take solace in the fact that no water penetrated your vault underneath the towel. A perfect gift idea for beach-goers, the Beach Vault is accessible through a hole in the special towel that it comes with. 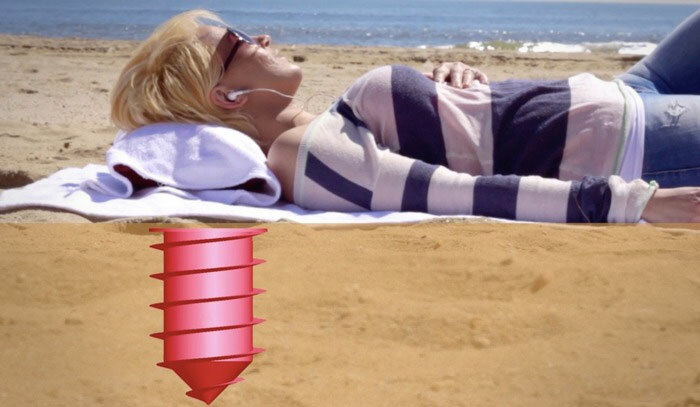 The towel has a hole for the vault to show through, as well as a connected pillow that hides the vault access when not in use. 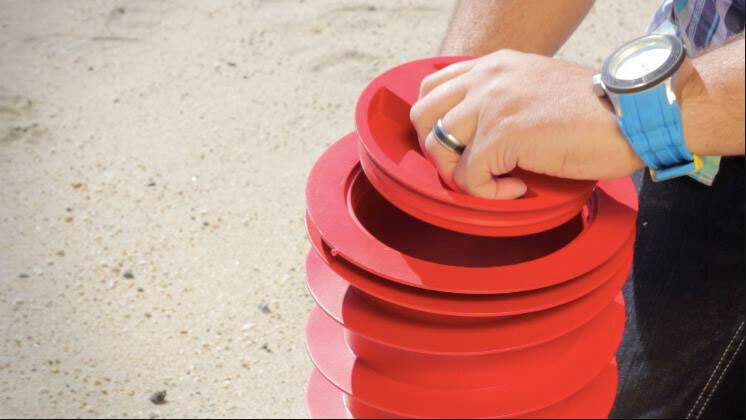 Check out the Beach Vault in action via the video below.